Design Thinking Toolkit, Part 1 – What Is Design Thinking? Design Thinking Toolkit – What Is Design Thinking? Design Thinking is hugely useful, but it’s become clear to me that many people aren’t sure how to define design thinking, how it applies outside the software realm, or how they can weave it into their process. In this introductory post, I’ll cover the what, who, and when of design thinking. In later posts I’ll build a toolkit of my most used and beloved design thinking exercises. Design thinking (DT) is a methodology that employs logic, imagination, intuition, and systemic reasoning to solve tricky problems. It’s a gateway to finding what may best work for users (clients, customers, etc.) and gain consensus among stakeholders throughout the process. It’s never boring, sometimes physical, and always engaging. In short, it’s the spice that your professional craft has been missing. It’s also the key to keeping clients and customers engaged when you’re leading a meeting. Due to the active and participatory nature of design thinking activities, you’ll no longer have to worry about meetings getting stale or needing to over-caffeinate attendees in order to keep their attention. Who can be a design thinker? At this point in the show Oprah would come out and feverishly yell, “YOU can be a design thinker, and YOU, and YOUUU!” Because really, it can be used by everyone. Even kids. 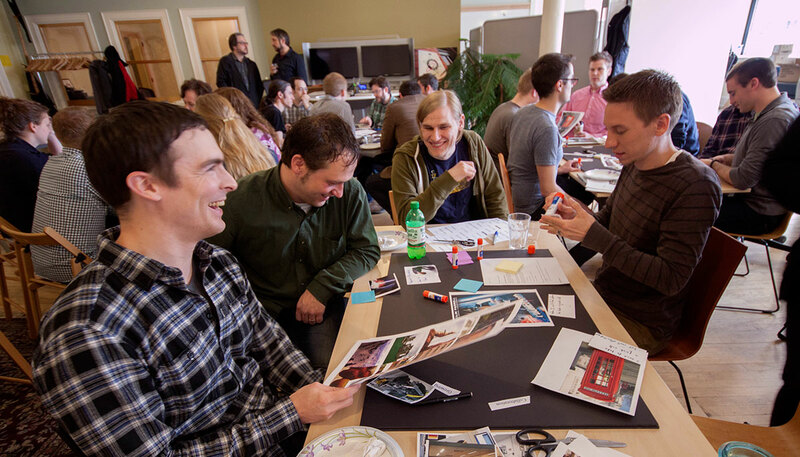 It’s often assumed that design thinking is just for UX designers creating applications. However, it can be used in any company, for a wide variety of reasons. The purpose of this series is to introduce you to a range of exercises that take little time to learn and are easy to work into your daily practice. I’ve seen teachers, architects, doctors, students of all ages, and more employ design thinking tactics to solve, visualize, or gain consensus on a problem. The hardest part is remembering all the exercises there are and when they are best used. Don’t worry… I’ll introduce you to a little something later on that might help with that. When should I use design thinking? When trying to solve for a problem. The right exercise utilized at the right time can dramatically change the course of your project for the better. A good understanding of the exercises will help you to pick out the best one—or a combination of a few—for the job. Throughout the entirety of a project. Kick-off, ideation, feature prioritization, and determining user goals are just a few areas that I personally weave DT into. Sometimes I engage in these exercises with large groups of Atoms (my Atomic Object colleagues) and clients, sometimes its a smaller internal group, and occasionally it’s just me noodling through a problem. When flying solo on a team, I’ll run through a version of the exercise and then run it again with the client, so that they can engage in the problem and enrich the solution with their ideas. The point is that I don’t try to keep my client, who is really my teammate, at arm’s length. Their feedback and knowledge, especially if they are a subject-matter expert, are vitally important to the health of the project. So how do I practice design thinking methods? Now that you’re a bit more familiar with DT, it’s time to dive deeper into how and when to call upon its methods. 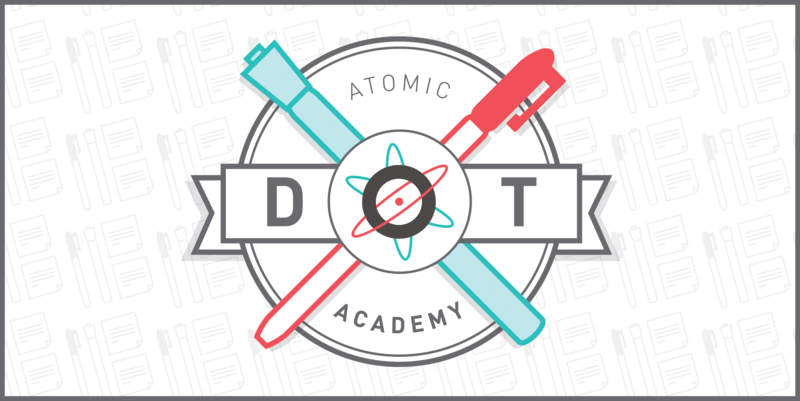 The rest of this series explains a few of my favorite DT methods—each broken down into an easy-to-learn format. Design thinking needs a confident and prepared facilitator to make the most of these activities. Learn as much as you can, and when the time comes you’ll be able to use these frameworks, build upon them, and manipulate them to solve problems for your company and clients in true design thinker fashion. Also, we’ll be (pretend) partnering with Lyft for each exercise to help frame each exercise with a real-world problem.